The core extension is free for all. For plulgins access refer to FAQ's section. JA Joomla GDPR extension has been developed keeping the site owners in mind. Reguations requiring data retention, book keeping, law obligations, auditing, record keeping still needs to be honored while making sure GDPR privileges to site users are implemented. For example, can a user engaged in a lawsuit be allowed to delete his association with the site while the matter is prejudice? To overcome such issues the JA GDPR component comes with multiple workflows to make sure all possible scenarios are covered. 1. Right to be forgotten - user can delete his account and info. 3. Submit request for manual update / deletion of information - can be submitted for full site or just for specific extension. 4. Display all user information but not allow edit / delete without following required steps, which can be listed on a separate dedicated page. For example, site requiring signed requests for record keeping offline before removing user information. 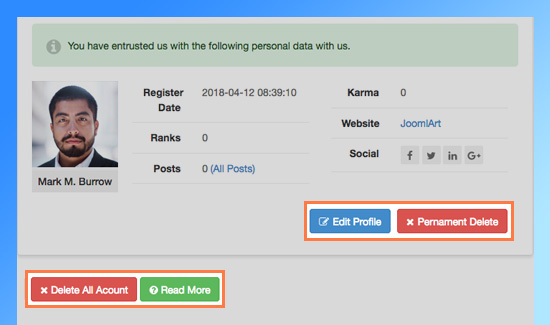 JA Joomla GDPR component makes it easier to display the information related to user across all Joomla extensions on a single page. The information is displayed in well-structure list layout. Yes, you can decide on the order of display too. JA Joomla GDPR extensions supports multiple workflows with ease of usage and customization. 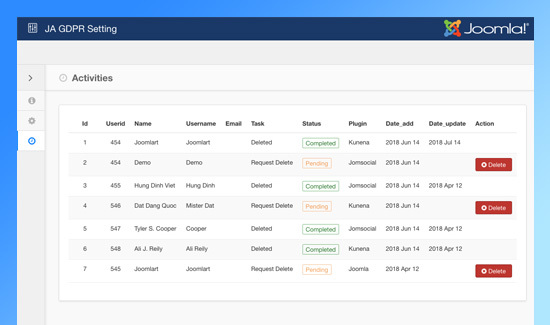 All features are built-in as options, fields in the intuitive admin panel. Edit alone OR edit and delete OR request manual deletion are the 3 workflows currently available. Edit profile option to update email, name or other personal data is available in all modes. 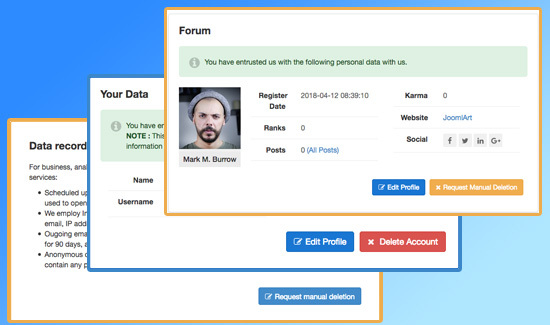 Users have full permissions to manage their submitted data, they can edit all the info OR delete profile or send manual deletion request to administrator as per the chosen workflow. 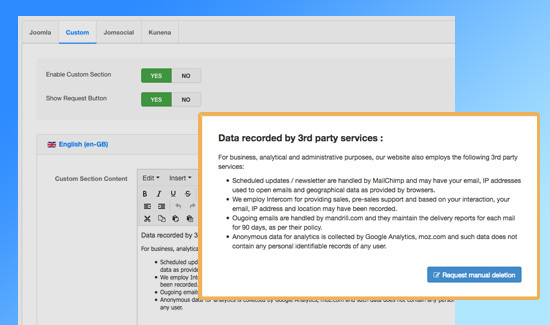 To inform user of all 3rd party non-joomla services being used to collect / process user data and let users request manual deletion or update of such information. This custom section allows addition of relevant information the site users need to know - this we are sure would be different for each website based on 3rd party services or data processing. 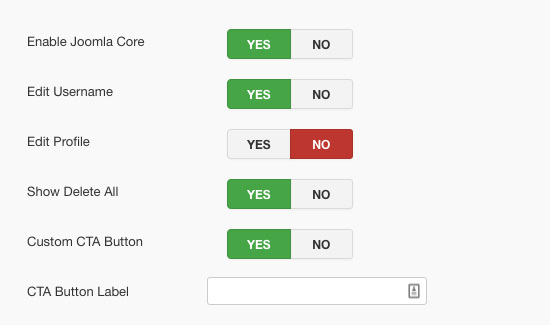 Powerful settings for Joomla core and 3rd party extensions. Easy to customize and setup for each supported Joomla extension. Activity tab listing all user's action. With admin initiated actions made available if the chosen workflow does not allow user to delete information directly. 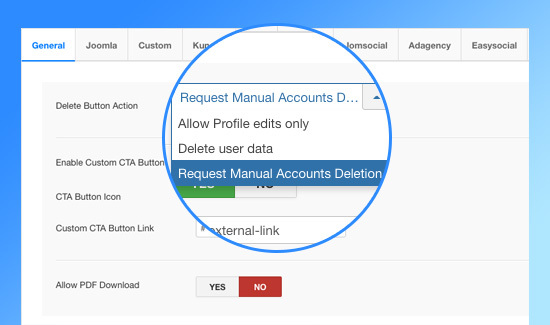 Upon user request deletion, admin can do the user profile deletion / update via the admin panel. The Joomla GDPR extension supports for multilingual Joomla websites. You can customize content, button label for different languages. Enable / disable outgoing emails for user action. 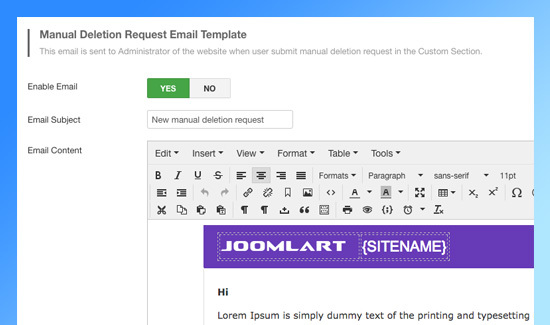 Customize outgoing emails for each initiated action by updating the email templates. Custom memo field while processing GDPR requests manually. GDPR compliance may seem to be EU centric but we expect that more countries will follow suit in near future and such compliance will become a priority while developing sites with Joomla. Understanding the importance of such compliance, we developed the GDPR extension to make sure our users as well as fellow Joomla community members should not be at any disadvantage while choosing Joomla as their preferred platform. 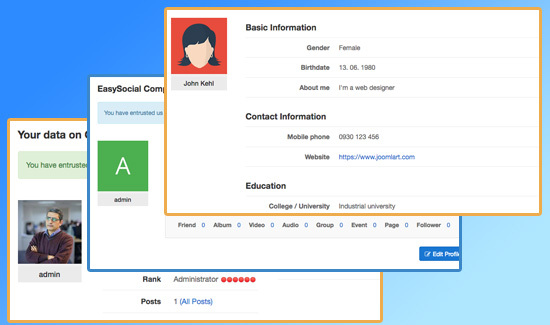 All 3rd party extensions plugins are available for free for all active paid members across JoomlArt, JomSocial, Gavick, JoomlaBamboo and ijoomla. Members having any active paid plan across these sites will have free access to all current and future plugins. This limitation has been placed to limit the support requests arising out of 3rd party extension support. The workflow implementation for each plugin may be different and we would need to dedicate constant resources to keep updating them for all latest releases. We are not selling addons individually or as a bundle. All 3rd party extension plugins (current and future) can be accessed with any active paid subscription across JoomlArt, JomSocial, JoomlaBamboo, Gavick and iJoomla. Priority is to provide support for maximum possible extensions and also to encourage 3rd party developers to develop their own plugins to work with JA GDPR extension. Custom workflow requests will be considered if they are essential and requested by many. 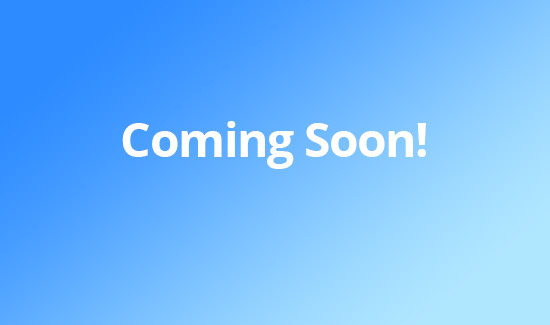 Thanks to Joomla Project Team, upcoming Joomla 3.9 release is GDPR focused and we are hopeful that the extension developers will use Joomla 3.9 update to provide inbuilt GDPR support.